In general 8th house in a horoscope, represent the longevity, well known as AAYU BHAV. As AAYU means life span, it reveals about the native’s life span, the manner of death and the resistance capacity towards diseases and life force. 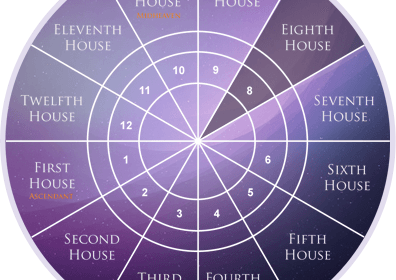 But, when 8th house is connected with any other house, then it gives different affect relating to money. If the lord of 8th is in any manner related to 1st house (lagna bhava), the native will get inherited property. If, the lord of 8th house is in any manner related with 2nd house ,the native will be wealthy in early age. If, the lord of 8th house is in any manner related with 5th house, the native will get sudden money (by lottery or share market). If, the lord of 8th house is in any manner related with 9th house, the native should have good intuition capacity. If, the lord of 8th house, in any manner related with 10th house, the native will get benefit early in life. If the lord of 8th house is in any manner related with 11th house, the native will get sudden financial benefit in life. If the lord of 8th, 5th and 12th, in any manner related with each other, it will give the best result to the native. If the lord of 8th, 5th and 9th, in any manner related with each other, it will give best result to the native. If the lord of 8th, 1st and 5th are related with each other in any manner, the native will acquire the knowledge of occult.